With a solid fiberglass hull, the Chris-Craft 38 COHO was built to last. Chris Craft lead market trend toward all-fiberglass construction and many of these boats are still in use today. The wood decking and accents provide a traditional look and can be re-finished or replaced with maintenance free fiberglass decks if desired. 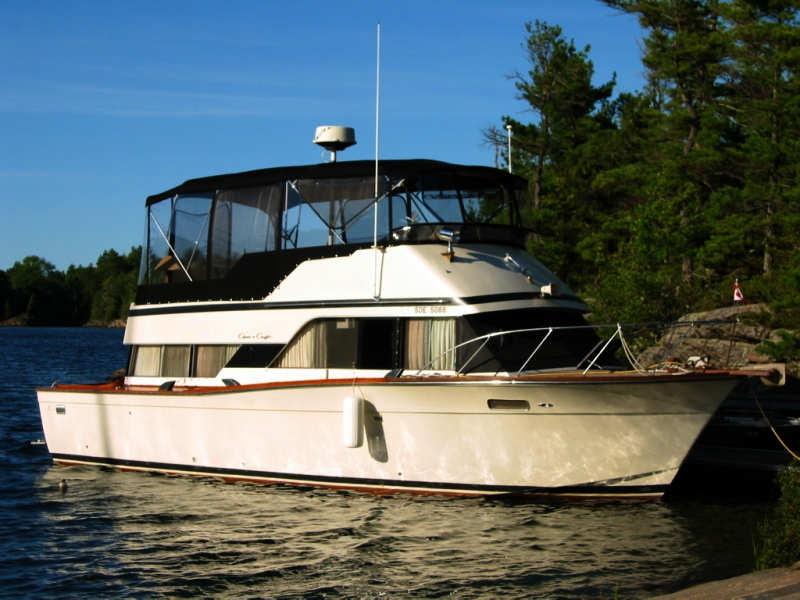 This 38 COHO has seen only three owners and has been well maintained over the years. The big-block, original Chris-Craft engines are smooth running, and the generator provides plenty of power for extended cruising away from the dock. Leak repairs were started on the forward deck and need to be completed, but her spacious two-stateroom interior, extended bridge and low price-point make her an economical choice for comfortable family cruising or live-aboard if you are up to doing the work. Located off-site. Please call ahead for viewing appointments.